1. 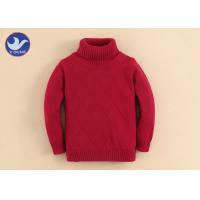 We are a reliable and professional supplier of sweaters in China for years. 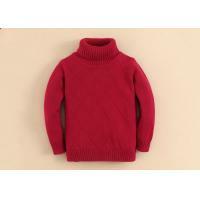 We are specialized in dealing a wide range of sweaters such as woman’s sweater, man’s sweater, kid’s sweater. 2. We supply you the most satisfactory stationery products with the competitive price, high quality, fast delivery and best service. 1. We will be tracing the different phase of production from beginning. 2. Every product quality checked before packing. 3. Before delivery clients could send one QC or point the third part to inspect the quality. We will try our best to help clients when problem occurred. Ex factory, FCA, FOB, are workable. Inner packing: one piece in one suitable eco-friendly PE polybag. Outside Packing: according to solid color or size ratio, put 20 to 30 pieces in one 65cmx45cmx30cm standard export carton. We are able to deliver goods to customers appointed port or warehouse or by air and even by courier according to customers. Dongguan Yichuang Knitted Apparel Co.,Ltd is the sweater manufacturer located in Dalang Town, Dongguan City, where is famous for producing sweaters in China. 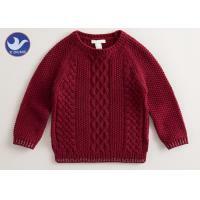 We are specialized in sweaters in 3GG, 5GG, 7GG, 12GG and 14GG in all yarns. Our goods are mainly sold to European countries, USA, Canada, south America, and so on. With more than 10 years export experience, we could well meet the customer’s requirement, to supply the good quality product and good service. We are equipped with advanced equipment and high technology, directed by the scientific and integrated management systems. It's our firm conviction that the generation of value for customers is the spring well of an enterprise's own value. We insist our principle of " Focus On Customer's Needs And Seek Win-win Development ". And we will keep on providing high quality merchandise, good service and competitive price to maintain sound and long-term business relationship with our customers. 1. Q: Are you factory or trading company? A: We are factory have more than 15 years sweater export experience. 2. Q: Could you make as our designs? A: Yes. We could make samples following your designs and requirement,OEM service is welcomed . 3. Q: What is the production delivery time? A: The production delivery time is around 30-40 working days after samples approved. 4. Q: Can we make our logo on the clothes? A: Yes. We could embroidery or print your logo. And also use your labels and hang tags. 5. Q: What's your MOQ? A: Our Minimum Quantity is 300 pieces per style per color in no more than 5 sizes. For any special yarn which need to be specially spun, MOQ quantity depends on the MOQ of yarn. 6. Q: What about the sample fees and sample delivery date? A: Our sample fee depend on your style/ material/ quantity. Sample delivery date: 7-15 working days for customize styles. 7. Q: What's your price terms? A: We usually quote based on FOB Shenzhen port,China. Also could quote based on CFR or CIF if you need. 8. Q: What's your payment terms? A: 30% deposit 70% T/T after inspection or L/C at sight.